Yormam, 15 Sep 2018Battery performance is so bad! only 2-3 Hours! the camera gets ... moreFor camera,i think your lens might been flaw or something,For its original it just felt the exposure quite high due to laser autofocus,try to update camera apk in apk mirror, i use 3.0.55.0_171003,then clearing the cache before use..for battery,do replace original battery with hologram stickers or use cameron sino battery like mine,i telling you this just want to share since the phone not break in half or something,i'm just sharing my experience,i didn't like it either,but if there a way to improve it,why not.? Anonymous, 19 Sep 2018Have had this phone for almost 3 years now and I would not want ... moreDo update it to the latest software which bring VoLTE features.? It feel quite smoother than before. mohamed kamal, 03 Oct 2018dear asus i ownt aske about this ( 5GB free lifetime ASUS WebS... moremaybe it vary on different country and continent i guess,But i'm confused,why use asus storage while you still have google drive.? Morshed, 21 Jul 2018I'm looking for a brand new Asus Zenfone Selfie ZD551KL only for... moreAre you sure buddy.? I think you can get better photos with its competitor Xiaomi note 3,beside there a lot phone with better camera than this phone,even cheaper than this.. I used it since january 2016,overall is quite Ok and awesome for its spec unless you play heavy games,Sincerely good phone for medium user,the only worst worst worst part is only the battery performance,After 1 year of use,I only got around 1 hours 45 minutes to 2 hours and a half which is bad a LOT.!! Only on using Whatsapp,Telegram,Email,and other social apps,already change battery 2 times (original) and doing calibration several times,i think this is normal with Asus (fast degrading battery),My friends have a zen 3 max and now having only 5 hours S.O.T after Oreo update before he used to go 7 hours at least,I think this maybe the last time using Asus phone,My advise,For those who want to use Asus,for a second device,it acceptable but for main daily driver,you should think twice or go for another brand with better performance in battery life. pretty good performance after 2 years 6 months. Battery isn't so good as it last only 2-3 hours on use and heating problem too. Everything other than these is awesome. I bought this phone in sept 2015 and still using it after replacing stock ROM with lineage os (Oreo). Its a good phone but needs extra care. Have had this phone for almost 3 years now and I would not want anything else. It's still working great even after upgrading to Marshmallow. Battery performance is so bad! only 2-3 Hours! Takvmi, 11 May 2018The WORST phone I have ever owned. I bought it a while ago for a... moreBuy another one better! how can i enable vibrate when outgoing call answered? aisha, 25 Jun 2018same issue. i also have some problem with my battery. its 100% b... moreMine, battery performance still good, got 3 to 4 Hours screen on time. Make sure you get original battery when replace it. 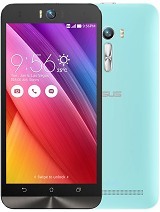 I'm looking for a brand new Asus Zenfone Selfie ZD551KL only for its' main camera. Picture quality is awesome, exactly the way I want a picture to be like. If I managed to find one, I'll use it solely as a camera and will not use for any other function.